When it comes to marketing and advertising your business, you simply can not jump straight in without thinking about your strategy. There are plenty of promotional opportunities available for businesses but choosing the right one for your company is vital. In order to choose the best promotion methods for your products and services you will need to research your potential customers. Market research on customers will need to focus on who your potential customers are, how much they would be willing to pay and what they are looking to purchase. Getting inside the customer’s mind isn’t that easy as it is prone to change, but researching why they buy particular products and where they buy them from will be helpful. In essence you need to know everything about your customer and how this will relate to your products and services. The next step will be to consider how you can best make potential customers aware of your company. You need to find the best promotion methods that will make your customers aware of your products and services and why these products and services will be beneficial to them. You will then have to market you company in such a way that the customer thinks that the service is right for them and that they are actually willing to pay money for it. The next step in the process is finding a way to use the customer information and get your company’s message across to the customer. The marketing mix is the different methods you will use to promote your company. There is no set in stone methods to use but you should try a mix of methods and see which ones work best for your company. Marketing your company to the public will entail the use of advertising, sales promotions, publicity and PR, and personal selling. The internet will also be a major marketing tool and this cannot be underestimated as a way to reach consumers. There are of course a number of ways to advertise your company; television, radio, newspapers and the internet to name a few. Importance should be given to which method you choose, and whether or not this method will help you to reach your target audience. If you are selling goods such as cooking products then there is no point choosing a fishing magazine in which to advertise. Always make sure you thoroughly research where you are going to place your adverts. 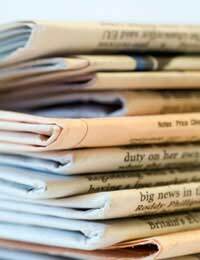 There are a number of ways you can get publicity for your company. Sponsoring local events and charities is one low cost way of gaining some publicity. Also consider contacting your local paper and making them aware of what your company is trying to do. The newspaper may then give you space especially if your company has benefits for the local community. This is not the same as buying advertising space but you are basically achieving the same result at no cost to your company. Sales promotions can take the form of discounts or free samples for consumers. This can take place in-store or at a designated point elsewhere so long as it makes people aware of what your business is about. Sales promotions are an excellent way to get your business noticed and you can have promotions for both consumers and other businesses that you deal with. Certain forms of promotional methods will be cost prohibitive for some small start-up businesses. Television and radio adverts may be beyond the price range of small businesses. If this is the case then cutting costs by using low cost methods such as the internet and mail shots should be considered. The main objective for those on a budget is to get your company across to the public in a cost effective manner. Always remember that adverts will not mean an instantaneous boost to your sales, this will be a continuous process. Marketing and advertising methods should be calculated into any business plan as it is an essential requirement for most businesses. However, the internet has changed the way businesses now advertise and it can achieve the same impact as traditional methods at a fraction of the cost. Never underestimate the potential of the internet when it comes to marketing and advertising a business.